Tru here. 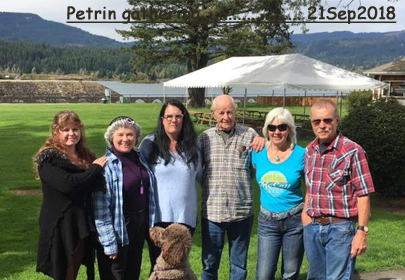 We traveled to Cascade Locks, Oregon, gathering with some of the Petrin family for picnic on 21 Sep 2018. Husband and Aunt Mary were photographers so not available in this picture. Daughter & myself from CA, cousin Shelley from Vancouver, BC, Uncle Wayne from MA, sister Shelly & her husband from ID . 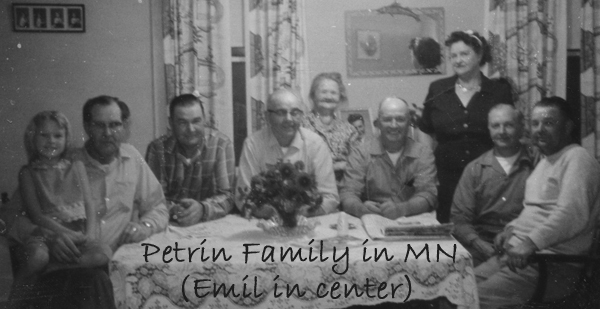 .Gave out binder for first section of Emil Petrin’s ancestry there. >> Grandparents of Emil Petrin 201810b .